More than 122 billion emails are sent every hour, demonstrating that email is a powerful medium that will continue to be a reliable method for companies to gain and retain customers. With that staggering statistic in mind, marketers must master the art of engaging content when competing with a cluttered inbox. Unfortunately, some marketers still dilute ROI by engaging in email marketing practices that are hurting business. 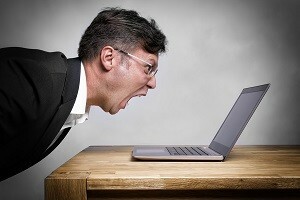 When refining your email marketing strategy, consider leaving these deadly practices behind. Modern-day subscribers are pampered and possess very little patience. Because this is today’s reality, marketers must inspect every inch of an email campaign to ensure it is clear, crisp, and easy to use. This review process includes paying close attention to opt-out options as well. Making opt-outs buttons visible is a vital component of email design. The disinterested individual who can’t easily unsubscribe will likely delete a message as soon as it arrives anyway. Marketers should be motivated by quality over quantity to best maintain a database of active and engaged users. Smartphones and tablets are here to stay—yet a shocking amount of companies deploy marketing strategies that fail to incorporate this concept. With more than 80% of B2C emails expected to be opened on a mobile device by 2018, traditional emails neglecting mobile-friendly design are bound to be ignored. Consumers use the Internet on the go, so email design must also be compatible with mobile operating systems. To do so effectively, the technology used to code emails needs to adapt as well. Advanced marketers are now using HTML5 and CSS3 for email creation. Marketers stuck with outdated platforms, there is no better time to upgrade. Visual appeal is important. When recipients are distracted and overloaded upon opening an email, they are not welcoming to the provided information. It is always better to convey more with visuals (while exercising discretion so the visuals are not overdone). Excessive use of images can slow down the systems. Moreover, use smaller images to keep the size down. Building your emails with a perfect balance of HTML text and appealing visuals will better connect the message to the target audience. Though email is nearly 40 times more effective than Facebook and Twitter combined for acquiring new customers, social media integration should not be ignored. Uniting social media and email—the two most effective marketing channels—can build a deeper relationship with subscribers. One way to do so is by making emails shareable via social networks. Another method is adding a sign-up form to your Facebook page. These are just two of countless examples of how social integration can help heighten a campaign’s reach. Lead-generation tactics are fast-paced and constantly changing. And for the reasons mentioned above, it is necessary to consistently collect new leads since older ones are likely to become inactive or opt-out over time. Myriad channels are available to marketers to help them better connect with the appropriate audiences, and streamlining these different lead-generation activities can help. For instance, in a Facebook contest, a marketer can ask for the email of the participant before he or she can participate. Similarly, websites and blog posts can have pop-ups requesting newsletter signups. Auditing all channels with a lead-generation focus will help identify opportunities for collecting new and engaged email addresses. Email marketing is here to stay, but marketers must be smarter and adaptable. Analytics are available, so market intelligence should constantly be analyzed and applied to predict user preferences and ultimately deliver the right message at the opportune time.